We have all acquired scar tissue in our lives in some shape or form, through one or more of the following: infection, trauma, inflammation, chronic poor posture, child birth, miscarriage, abortion, circumcision, ovarian cyst removal, hysterectomy, to name a few. When scar tissue builds up, it can cause a reduction in sensation and circulation, and in some cases can cause severe numbness, reducing one's ability for pleasure. Scar remediation focuses on aiding the scar tissue to break down and allowing sensation to return. 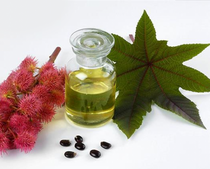 The use of organic castor oil aids in this healing as it contains ricinoleic acid, which has anti-inflammatory properties and assists in softening the scarred tissue. I offer a series of sessions to support and encourage healing along with education in how to continue the practice of scar remediation at home.